The introduction of the 2016/17 FIBA Champions League may be seen as a direct competitor to the Euroleague but the ramifications of this event have caused trouble across European basketball. It would be fair to say that the Eurocup 2016/17 has been impacted on by this tournament and at the end of August; there is some doubt as to who will take part in the Eurocup 2016/17 season. The season doesn’t get underway until October, so there is plenty of time to have everything resolved but the sooner the season and teams are set in stone, the better. While the division between FIBA and European clubs has been present for a good while, the current controversy came to the fore in March of 2016 when FIBA formally launched their new Champions League format. While FIBA invited all of the domestic basketball federations to enter their tournaments, many clubs already had agreements in place to enter the Euroleague or the Eurocup for this season. In addition to many domestic leagues, amalgamated leagues like VTB United League and the Adriatic League were contracted with the Euroleague set-up. FIBA reacted badly to these agreements and they threatened 14 basketball federations in Europe with expulsion from the EuroBasket 2017 event. FIBA provided a five-day period, to 20th April 2016, for national organisations to state their plans for the new season. At this point, FIBA also contacted the German basketball federation and requested that they take over the hosting of the 2016 FIBA World Olympic Qualifying tournament from Italy. Ultimately, none of these suspensions were applied and Italy hosted one of the three Olympic Qualifying tournaments prior to the 2016 Rio Games. On 16 April 2016, FIBA asked Germany to take over the hosting of the 2016 FIBA World Olympic Qualifying Tournament from Italy, which was at risk of suspension. In the end, no suspensions were applied. There were many different responses across Europe to the threat from FIBA. One of the impacted teams in Greece would be AEK Athens but the club was forceful in saying that they would not be blackmailed by anyone and that they would look to maintain their contractual position with the Eurocup. AEK Athens were informed that if they didn’t switch from the Eurocup to the Champions League, they would be refused a licence for any new summer signings, which would prevent these players from playing in the Greek league. Although opposed to the ruling, AEK Athens believed that they had no option but to withdraw from the Eurocup and they have since switched to the FIBA Champions League. In late June 2016, the Israel Basketball Association contacted Hapoel Jerusalem, a Eurocup participant, to inform they would be banned from registering and playing in the domestic league in Israel. Support for Hapoel Jerusalem came from Maccabi Tel Aviv, a side participating in the Euroleague, who stated they would also refuse to be registered for the Euroleague if the ban came to pass. As of yet, the Israel Basketball Association hasn’t applied a sanction. In April of 2016, three Italian teams that were contracted to the Eurocup withdrew their participation. These teams were Aquila Basket Trento, Dinamo Sassari, Reggio Emilia. These sides have all signed up for the FIBA Basketball Champions League. The basketball federation in Lithuania took the move of suspending BC Lietuvos rytas because of the agreement that they had in place with the Euroleague. This would lead to the club being disqualified from the domestic league. 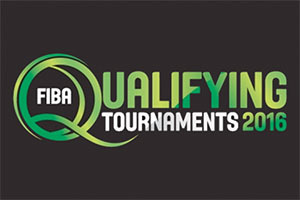 There was a major complaint raised about the FIBA tournament from the head coach of BC Zalgiris, Šarūnas Jasikevičius, who said that; “playing in a FIBA tournament means taking a 20-year step back”. While most new tournaments are lauded because they are a step forward, with respect to money and the challenge on offer, there is no denying that many within the upper level of basketball in Europe had concerns about the standard of the new FIBA tournament. The President of the basketball federation in Russia, Andrei Kirilenko, made a request to the VTB United League to ensure the Russian teams didn’t enter the Eurocup. The Russian basketball federation also said that if the VTB league refuses to prevent these teams from entering the Eurocup, the contract with the VTB League would be voided. In June of 2016, the Russian Basketball Federation announced a ban from Russian domestic competitions, such as the Russian Cup, on teams that played in the Eurocup. At the time, this referred to Khimki Moscow Region, Lokomotiv Kuban Kazan, Nizhny Novgorod and Zenit St Petersburg. These teams have also been informed that their players will not be eligible to play for the Russian national team. The ACB in Spain, which is the association of clubs, were fully against the FIBA Champions League and the ban, with the President of the organisation being quoted as saying; “the ban is unfair and unfounded”. Spain also said that there would be no ban for Spanish teams from entering any FIBA competition even though the Spanish league holds agreement with the Euroleague and Eurocup. The Spanish Basketball Federation, the FEB, asked for the ACB to suspend their agreement held with the Euroleague. The ACB refused, saying that they would not block Spanish clubs from entering these tournaments and that if there was any suspension affecting the national side in Spain, it would not be the fault of the ACB. In May of 2016, the Supreme Council for Sports of Spain cancelled the ACB and Euroleague agreement, with the aim of ensuring the national team was not suspended. The ACB has spoken out against this decision and it further pushed FIBA for further details about any possible suspension they would provide. In early August 2016, the President of the SBF contacted all Spanish clubs participating in the Eurocup to inform them that they were violating the rules as laid out by the Spanish Supreme Council of Sports. The teams involved were Bilbao, Fuenlabrada, Gran Canaria, Malaga, Murcia and Valencia. The basketball federation in Slovenia said that they support a lot of the work undertaken by FIBA but questioned their possible suspension due to the fact that FIBA has no rights over the Adriatic League. In April of 2016, teams from the ABA League, which is made up of teams in the former SFR Yugoslavia, signed a four-year contract for one Euroleague spot and three places in the Eurocup. FIBA threatened the six federations involved in the ABA league with suspension and on the 30th of April 2016, they followed through, suspending their recognition of the ABA League. The FIBA recognition of the ABA league had been in place since 2009. The early withdrawal of the Italian teams from the Eurocup has ensured that replacements have been found with a minimum of fuss. Grissin Bon Reggio Emilia has been replaced by Lietkabelis while Volgograd have taken the place of FoxTown Cantu. MZT Skopje Aerodrom have taken the place of Banco di Sardegna Sassari while Dolomiti Energia Trento have been replaced by Montaki Fuenlabrada. At this point in time, there is still a suggestion that AEK Athens, Partizan NIS Belgrade and Stelmet Zielona Gora have withdrawn from the Eurocup but they are still listed on the Eurocup website with respect to participation in this season’s tournament. Given that they are also being listed as participating in the FIBA Champions League for the new season, it may be that there is a lot more legal action to play out before the new European basketball season can get under way.